Rock City Tattoos & Piercings is a high-caliber tattoo and piercing studio located in Belleville, NJ. We specialize in new and old school, black and grey and traditional tattoos. 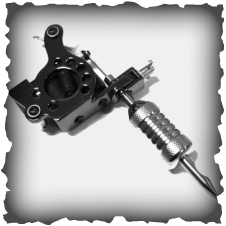 Our experienced and dedicated artists are here to provide you with the finest custom tattoos. For those of you who prefer a more traditional tattoo, you can browse through our extensive flash library or artist portfolios. We also offer our clients a wide variety of body piercing and a large selection of the highest quality jewelry. Rock City Tattoos provides its clients with a clean, relaxing environment where each customer receives our full attention. Our entire staff is health Department certified and qualified in sterilization techniques and practice universal precautions. We double sterilize all equipment and never re-use needles. Your satisfaction and safety is our main concern. If you wish to book an appointment feel free to come down to the studio where one of our artists will sit down with you and accommodate all your needs and answer any questions you may have. "Let your haters be your motivators."